Learn how to teach this nine-pose partner sequence in a way that fosters balance, strength, and flexibility, while encouraging communication, trust and playfulness. Partner Yoga explores conventional yoga poses in tandem with another person, which may sound fun to some students, but to others, it’s completely horrifying! In other words, teaching partner poses requires creativity, skillful execution and a healthy dose of playfulness. In Partner Yoga, each partner acts as a feedback device, simultaneously giving support and receiving benefits. Much like a wall or block, one partner can help the other balance better, move into poses more deeply, and hold them longer. 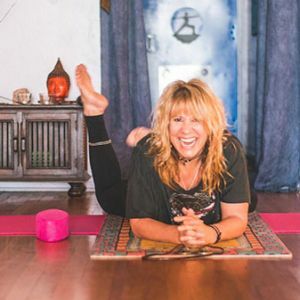 As said by Carl Jung, “Like any chemical reaction, when two things make contact, both are transformed.” These suggestions can help you transform your Partner Yoga class into a playful, creative opportunity to practice balance, flexibility, and connection. Make sure your students know well in advance that you are planning to teach a Partner Yoga class (or that you will be incorporating partner poses into your usual class structure). Post it on your studio’s social media pages, announce it at the previous class, and share a little bit about what you plan to teach. Let them know that they can bring a friend along, if they wish, but it’s not necessary. Your cues should help orient your students to one another (e.g., opening towards our partner); help position them within the pose with respect to their partner (e.g., allowing our back to find our partner’s), or help connect both individuals within the posture (e.g., linking hands with our partner). Cues that encourage connection and awareness between the partners can minimize chattiness and keep them focused. Start with partner poses that are easy to achieve and that focus more on strength than flexibility. The key is for everyone to enjoy the process and not worry so much about a perfect outcome. Remind your students that they’re practicing “for two.” Encourage them to give their partners feedback and, at the same time, be sensitive to their partner’s needs. Demonstrate the least tactile and most easily achievable version of a pose and have everyone try it. Give students permission to then move to a more difficult variation—but only if both partners are willing. As much as possible prompt people to pair up with partners who are similar in height and possibly weight to make poses easier for both of them. As you practice the partner poses here, urge your students to take time to rest when needed. Depending on the pose, they can take a break by moving into any one of these resting poses: mountain pose, child’s pose, or easy seated pose. Getting Into The Pose: Standing back to back, both partners step one foot towards the top of the mat and the back foot parallel to the back edge of the mat coming into Warrior 2. Linking hands with your partner and raising arms to shoulder height, feel a connection between your backs as you lengthen through your fingertips and open your chest. Hold the pose for 3-5 breaths. Cueing: Keeping shoulders relaxed and spines long, imagine cords attached to your fingers that pull outward to stretch your arms and chest. 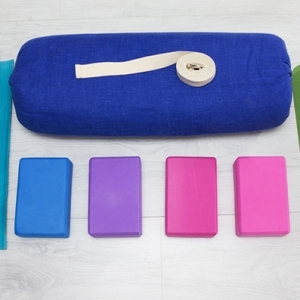 Allowing your back to find your partner’s to produce a feeling of grounding and centering. Reminders: A common tendency in this pose is to lean one’s weight too far forward, toward the front leg. Working with a partner whose size is similar to yours can help you feel where the torso should be placed, how much weight should be in the back leg, and what the action of the arms should feel like. Benefits: This pose strengthens muscles in the legs and shoulders while stretching the hips and inner thighs. Getting Into The Pose: From Double Warrior 2, both partners straighten their front leg, shifting hips to allow front hands to reach forward. At the end of your reach tilting from the hips to place lower hand onto or next to your shin or reach to your partner’s shin. Cross upper arms and reach toward the sky, keeping hips and backs pressed together using your partner’s back to help you stay aligned. Hold the pose for 3-5 breaths. Cueing: Imagine yourself between two sheets of tissue paper, one in front and one behind you, your partner serving as the sheet behind you. Only bend as far down as you can without popping your hip forward or backward through the imaginary paper. Reminders: The counterbalance of this stretch works better if you gently press your top arm forward towards yourself. Benefits: This pose lengthens and invigorates the entire body while improving digestion and stimulating the kidneys and adrenal glands. Getting Into The Pose: From Double Triangle, release to a runner’s lunge next to your partner. Placing your outside hand to the ground with the wrist aligned under the shoulder, lifting the inside arm so that you twist towards your bent knee and toward your partner. Hold the pose for 3-5 breaths. Cueing: Focus on keeping your pelvis square and stable so that you create the twist from your mid and upper back, reducing potential strain on your sacrum. Cueing: It is common to fall forward with this pose when you are first learning to balance with your partner. If you begin to fall, make sure to let go of your partner’s hands and catch yourself. Relax and breathe deeply into the pose, allowing gravity to pull you farther into the stretch. Reminders: Always move slowly and with control into this posture. Benefits: This pose strengthens calves, buttocks, and lower-back muscles while stretching the entire back side of the body (primarily the hamstrings). Getting Into The Pose: From Mountain pose, stand about two feet away from and facing your partner. Link arms just above the elbows and begin slowly bending forward while taking small steps away from each other, sliding hands out to your partner’s shoulders. Lengthen your spine and flatten your back by extending your buttocks away from the top of your head. Relaxing shoulders and allowing your chest and ribs to open toward the floor. Hold the pose for 5-10 breaths. Cueing: It is important to cue engagement of the core to allow chest expansion without constricting the space between the shoulder blades. Reminders: For the greatest opening for the chest and shoulders ensure your back is parallel to the floor and legs are perpendicular to the floor. Benefits: This pose stretches the backs of legs and glutes while strengthening the muscles in the lower and mid-back. Getting Into The Pose: From Mountain Pose, stand about one foot away from and facing your partner. Bring your hands to your partner’s wrists in a firm yet relaxed hold. Inhale as you begin to gently lengthen your spine leaning back. Lift from your sternum and allow your tailbone to drop. Slightly press your hips forward as you deepen your backbend. Maintain length in your neck and allow your shoulders and arms to relax. Use your partner’s counterweight to find your own balance and to deepen the stretch. Hold the pose for 3-5 breaths. Cueing: Let’s use our partner’s counterweight to find our balance, and relaxing as we deepen the stretch. Noticing a lengthening in the back of our necks as we lift heart center to the sky. Reminders: Deep breathing in this spinal extension increases flexibility of the spine, opens intercostal muscles, and improves balance. Benefits: This pose builds energy and enhances mood through opening of the chest and abdomen. Getting Into The Pose: Sit facing your partner, knees pulled in, feet flat on the ground and toes pointed up, touching the bottom of your partner’s toes. Reach forward and link hands or wrists. Inhale and lengthen your spine. Using the counter pressure from your partner’s foot, exhale and straighten one leg, lifting your feet up toward the sky. Now lift and straighten your other leg using the same technique. If you find it difficult to straighten legs completely, practice with bent knees. Hold the pose for 3-5 breaths. Cueing: Adjust the distance between you and your partner to find the angle that works best for you. Focus on lifting from the sternum and opening the chest area, while keeping shoulders relaxed. For an added challenge, try releasing your hands and while both balance in full boat. This pose should be energetic, playful and induce fits of laughter! Benefits: Strengthens abdominal muscles, improves digestion, tonifies kidneys, and stretches the backs of legs. Getting Into The Pose: Sit facing your partner in seated straddle splits with feet touching. Clasp hands with your partner and begin slowly moving forward and back, providing a gentle forward bend and back bend, respectively. Move in a range of motion that is comfortable for both of you, holding or moving on each breath. Cueing: Finding connection with our partner as we move in a gentle range of motion finding stretch in our lower body. For more hip opening, allowing our forward and backward motion to become a hip circle motion. 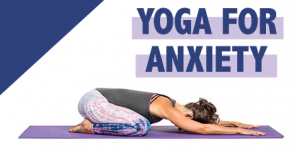 Benefits: This pose is a heart connecting pose that increases hip, inner-thigh, and hamstring flexibility and calms the nervous system. Getting Into The Pose: From Double Seated Straddle, Partner One will bring the sole of left foot to their right inner thigh. Partner Two will mirror this position so that they are touching knee to knee and foot to foot. Holding your partner’s elbow on the side of the outstretched leg, inhale and lift your free arm up and over your head reaching toward your toes. Pull in gently on your partner’s elbow and turn your chest and head toward the sky. Hold for 5-10 breaths maintaining length in the spine. Repeat on the other side. There is a tendency to collapse the ribs when side bending, which can be avoided by maintaining length in the spine. Cueing: Breathing deeply into the side body to lengthen the spine and stretch the intercostal muscles. Use this opportunity to connect with your partner by pulling in gently on your partner’s elbow, turning your chest and head toward the sky. Reminder: There is a tendency to collapse the ribs when side bending, which can be avoided by maintaining length in the spine. Benefits: This pose opens the hips, hamstrings, and inner thighs while expanding the rib cage and intercostal muscles.